Few marital problems cause as much heartache and devastation as infidelity. If you have experienced the trauma of infidelity, don’t feel alone. Statistics show over 70-80% of married couples struggle with this issue sometime during the course of their marriage. Because of the negative range of emotions associated with this issue it is hard to get support, advice, and help from your friends and relatives. With time to heal and the establishment of a mutual goal of rebuilding the relationship, some couples emerge from infidelity with a stronger and more honest relationship than before. 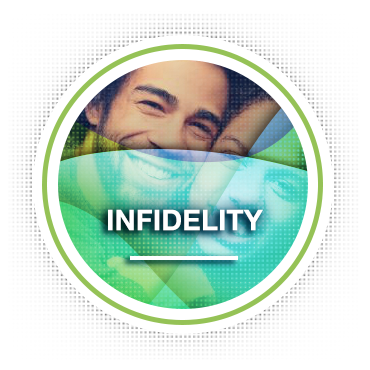 Infidelity isn't a single, clearly defined situation - and what's considered infidelity varies among couples and even between partners in a relationship. What may be acceptable for some couples may be unacceptable for others. Similarly, what's tolerable for one partner in a relationship may be intolerable for the other. For example, is it infidelity if your partner is attracted to someone else but doesn't act on it? Is an emotional connection without physical intimacy considered infidelity? What about online relationships? What if I discover my spouse has texted or emailed someone else in an inappropriate manner? The initial discovery of a physical affair or an emotional affair can trigger a range of powerful emotions for both partners - shock, rage, shame, betrayal, depression, guilt, and remorse. You may cycle through all of these emotions many times in a single day, one minute vowing to end the marriage and the next wanting desperately to save it. At this point, it's important to take one step at a time. And yet without help, your odds are decreased of managing the crisis in the most expedient and constructive way. Sometimes, especially with infidelity, help may need to come in the form of a professional specifically trained to help couples meet the challenges after infidelity and affairs. At Family Solutions Counseling Center, we want to provide some guide posts to help navigate this difficulty in the form of thoughts of ways a couple begin healing process. The following are five thoughts on how to heal from infidelity. 1. Cease the affair: This may seem obvious but sometimes "obvious" is better off stated. Couples cannot begin the healing process until the relationship is over. Rebuilding trust is the cornerstone of saving the marriage after an affair. When one spouse says "It’s over" and the reality is the affair is still going on does not help the matter. Continuing to lie to your spouse is not helpful at all and can prevent rebuilding trust and healing the marriage. 2. There is no such thing as too much apologizing: The partner who cheated must be willing to apologize as many times as needed – and as sincerely as possible. They need to continue to take responsibility for wounding their partner and the relationship. 3. Allow the wounded partner to share his/her feelings: There could possibly be a wide range of emotions from the hurt partner, sometimes even seeming erratic and unrelenting. Remember that they are dealing with images, thoughts, suspicious thinking, anger, hurt and other swirling thoughts and emotions. 4. Learn how to communicate effectively: Sometimes affairs can come on the heels of build-up of resentments, unexpressed needs, feelings and so on. Be clear that we are not excusing unfaithful behavior, only highlighting that effective communication between couples can only help build and maintain a strong relationship foundation. 5. It takes time: A couple dealing with infidelity needs to understand that this is a process and can take a long time to work through. There is not formula to figure out, "how long." It will depend on a lot of factors specific to who they are, what exactly transpired, the length of time it occurred and so on. After following these guidelines, there still might always be a nagging doubt or mistrust of the unfaithful partner who can be vulnerable to having his/her insecurity triggered. Stay aware of maintaining behavior that is kind, loving, loyal and supportive of each other. In other cases, there are couples that weather the storm of infidelity and come out stronger in the end. In either situation, if you both believe the relationship is worth fighting for, this is the first and most important step you’ve already taken towards the healing process. Phase 1 - The revelation phase: This is when the infidelity becomes known and all the emotional reactions start for both parties; this needs careful managing, pacing and structuring. 7. How could trust EVER be rebuilt, and many other such questions. Many of these questions may stump you and you might find the help of a marriage counselor specifically trained in infidelity counseling quite helpful at this juncture so as not to make premature decisions or overly emotional decisions that may not hold up well over time. 5. Rediscovering joy, happiness, love, trust and passion. Remember: There is more information available on this topic, if you still have questions not answered by this section please call our office at 318.322.6500. Our professional counselors are available within 24-48 hours to answer questions, schedule sessions or to direct you to other resources. At Family Solutions Counseling Center, all of our professional clinical staff works with couples experiencing marriage crisis, however, Dr. Scott Shelby has advanced experience working with couples suffering from infidelity. Research and statistics on infidelity indicates that receiving professional counseling after the discovery of an affair is the single best predictor of recovery.